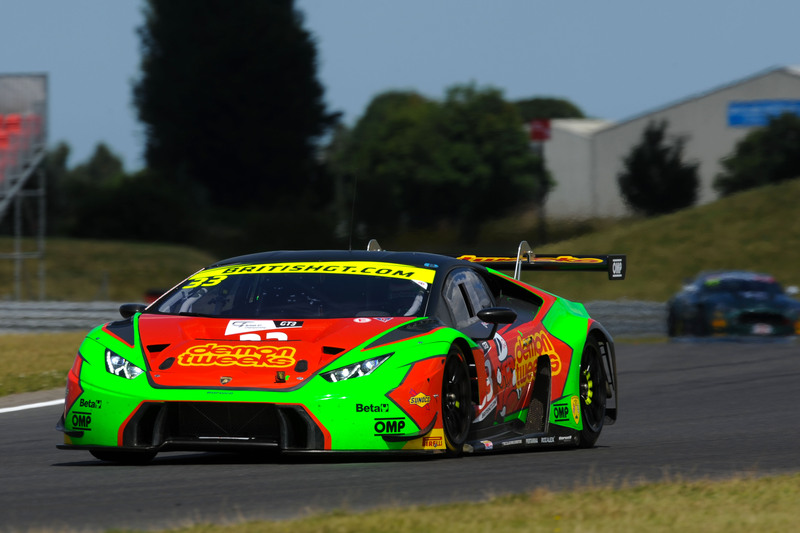 Phil Keen, in the #33 Barwell Motorsport Lamborghini Huracán GT3 took second as the chequered flag fell on Round Seven of the 2016 British GT Championship at Snetterton, behind the #7 AMDTuning.com BMW Z4 GT3 with Joe Osborne at the wheel. Osborne, however, had already been given a drive-through penalty for an infringement with minutes to go. Choosing not to take the penalty but to question the decision at the finish, Osborne stayed out to take the victory on track. Minutes after the end of the race, the stewards imposed a 30 second penalty on Osborne which relegated the #7 BMW Z4 GT3 to fifth overall. Second, therefore, was the pole-sitting #11 TF Sport Aston Martin Vantage GT3 with Mark Farmer and Jon Barnes driving. 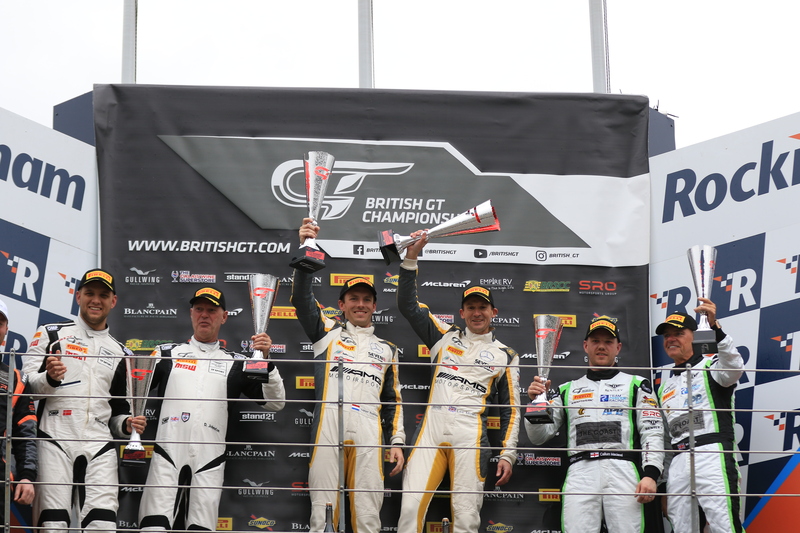 Taking the final step on the podium was the #31 Team Parker Racing Bentley Continental GT3, driven by Seb Morris and Rick Parfitt. Mark Farmer in the #11 TF Sport Aston Martin Vantage GT3 led the field away from pole position, closely followed by Jon Minshaw in the #33 Maserati Huracán GT3. Alsasdair McCaig in the #79 Black Bull Ecurie Ecosse McLaren 650S GT3, who started fifth, had early contact with Derek Johnston in the #17 TF Sport Aston Martin GT3 which resulted in both cars taking to the grass, returning in ninth and tenth positions. Although both cars continued circulating, radiator damage to the #79 McLaren 650S GT3 meant that it was forced into retirement at the driver change. Minshaw continued to push Farmer , closing the gap to less than a second at one stage but did not have the pace, at that stage, to take the lead. 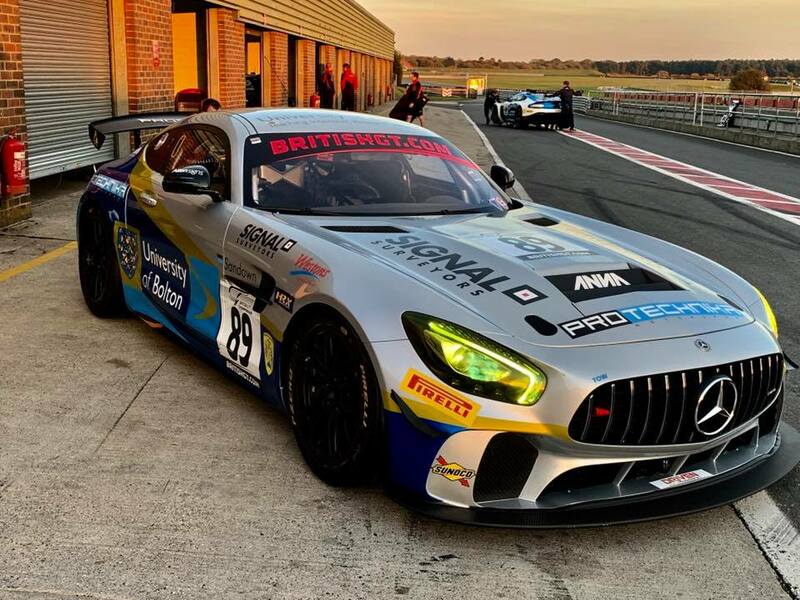 Lee Mowle, meanwhile, in the #7 AMDtuning.com BMW Z4 GT3 held third place but was being pushed hard by Rick Parfitt in the #31 Team Parker Racing Bentley Continental GT3. The nature of a one-hour GT race with the Am drivers starting first meant that as soon as the pit window was open it was likely that most cars would pit to change to their Pro drivers. And so it was that as soon as the window was open, the majority of cars pitted and changed drivers. When the driver changes had worked their way through, it was Phil Keen in the #33 Barwell Motorsort Lamborghini Huracán GT3 who held the lead, followed by a hard-charging Joe Osborne in the #7 AMDtuning.com BMW Z4 GT3 and Jon Barnes in the #11 TF Sport Aston Martin. Osborne was determined to take the victory and drove hard to record two fastest laps in quick succession. However, with over 20 minutes to go, Osborne took the lead, after a pass on the #33 car which resulted in a spin. Osborne quickly established a solid lead of over seven seconds but with seven and a half minutes to go, the team manager of the #7 car was summoned to Race Control and a penalty seemed inevitable. A drive-through penalty on the #7 car, which Osborne was driving, was announced with less than three minutes to go which would have meant that the win was now impossible. Osborne chose to stay out to cross the line in first position but the 30-second penalty was announced shortly after race ended and Osborne was relegated to fifth. GT4 saw the first victory for the #59 Black Bull Ecurie Ecoss McLaren 570S GT4 driven by Sandy Mitchell and Ciaran Haggerty, Haggerty taking the chequered flag. However he was pushed hard to the line by the #407 Beechdean AMR driven by Jack Bartholomew and Ross Gunn, Gunn returning to GT4 following the withdrawal of Jordan Albert and the #1 Aston Martin Vantage GT3 which he shared with Andrew Howard. Third in the GT4 class was the #42 Generation AMR MacMillan Racing Aston Martin Vantage GT4, driven by Matthew Graham and Jack Mitchell. 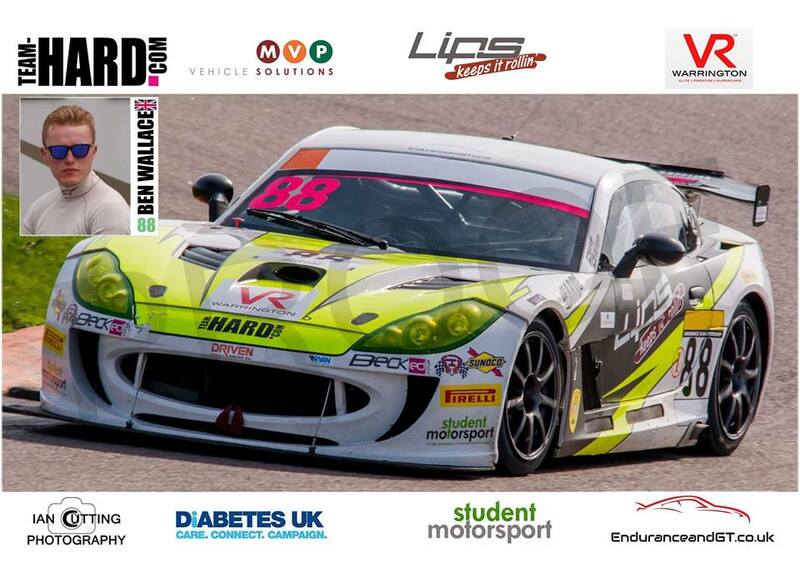 Full report on the GT4 battle to follow. Race Two, the eight round of the 2016 British GT Championship, starts at 16:05.